Peter Alkema, business banking CIO at FNB. Peter Alkema, business banking CIO at First National Bank, led his keynote address at this week's Brainstorm CIO Banquet with a call for South African organisations to attract and retain talented staff. 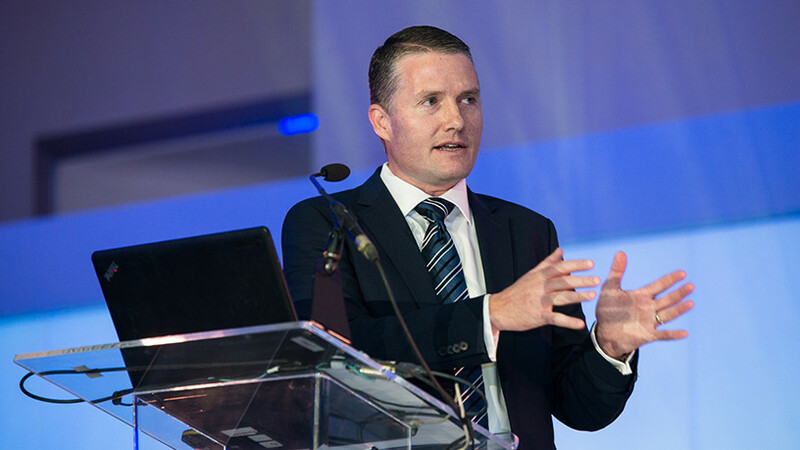 Speaking at the event, which saw the release of the 2017 ITWeb Brainstorm CIO Survey results, Alkema said if the country's cohort of 'techpreneurs' could make a success of their businesses in SA, they could be successful anywhere in the world. "We want them to stay here and continue disrupting our traditional industries here. We need the job creation and we need the new ideas. We need the next generation of thinking here inside our borders." Turning to education, he said the country's tertiary pipeline produced high-quality graduates with excellent problem-solving skills and good business acumen, "but they don't produce enough". Alkema said these pipelines needed to be supplemented with informal, disruptive models, such as codeX in Cape Town and WeThinkCode in Johannesburg, and similar coding schools that widen accessibility and improve affordability for the masses to learn about technology. "The question is whether we have the infrastructure and the distributed rurally accessible and connected learning environments to make this work and close the ever-widening skills gap across the continent. "And the more we make these academies and curricula accessible and affordable, the more we increase the chance that the next Mark Zuckerberg could come from Diepsloot or Khayelitsha." He urged his fellow CIOs and other business leaders "to wake up tomorrow with an urgency about fixing our education system and ensuring we leave a legacy for the next generation ? not as device-obsessed digital consumers but problem-solving visionaries and digital creators". Alkema said the city-level response to technology is crucial and was typically led by government through councils and innovation departments. He said major urban areas such as New York and San Francisco were investing in smart city technologies and Internet of things capabilities that were helping to optimise supply chains, reduce traffic congestion and improve services to growing populations. "Here is the challenge. At last year's London Fintech week, participants would stand up and talk about the Tel Aviv Hackathon, or the Paris Hackathon - mass gatherings of techies to solve problems at the city level, organised and run and sponsored at the level of the urban metropolis." He said Durban recently held an innovation conference and is looking to improve its status as a tech-friendly destination. Political uncertainty in the KwaZulu-Natal region did not help, he added, but the Durban council leadership understood the need to facilitate connections between innovative entrepreneurs and government departments that could unlock funding and achieve smart city aspirations. The new Data Science Academy in Cape Town was expected to open in January. "It's got the right idea," Alkema said. "Its first project for its 100 new recruits is going to be to tackle the severe water crisis in the Western Cape." He said finance minister Malusi Gigaba admitted this week the government could not achieve inclusive growth on its own. "They need all sectors, all industries, to come with solutions to forge partnerships that look beyond the short-term difficulties towards a progressive and smart society."